Binary Scam Alerts » Scam Reviews » Zemusoft Review, Fraudulent Zemusoft SCAM Exposed! Binary Scam Alerts is proud to be the first to expose Zemusoft, the latest get-rich-quick crypto scam software. This time Rhys Lakem and his band of thieving crooks who are the so-called “masterminds” behind the Zemusoft SCAM app and trading robot are claiming they can make money for you by exploiting a loophole in cryptocurrency exchanges. These liars are also saying Zemusoft “handles stocks and bonds”, which is a contradiction in terms and at best NOT clear. In fact, now we know its just a lie and will back up our assertions with verified proof. These scam artists are saying their cheating arbitrage system achieves a 95% level of accuracy, but the truth and the facts tell a different story. In reality, when you signup for the fraudulent Zemusoft system you are actually signing up for an offshore broker (in our case it was GFC Investment). This is our biggest problem with Zemusoft, and that’s because the registration process is not done in a fully transparent manner. In essence, the victim (that’s you) is totally misled and manipulated into providing his personal and confidential financial data to an offshore broker without even realizing it. It is for this reason our staff of researchers believe that there is nothing legit or genuine about Rhys Lakem and Zemusoft, and consequently this system should be BLACKLISTED without further ado. Still think you can make money with Zemusoft? Well, before you pull out your credit card and regret it for the rest of your life we would like to invite you to read our enlightening and informative Zemusoft review to see how we exposed this latest scam. Here is the primary sales page and registration area for the Zemusoft software. In it you can clearly see an image of someone who claims his name is Rhys Lakem, the person behind Zemusoft. And right next to him you will find an image our research staff was able to produce after searching a very well-known image bank. As you can see for yourself, Lakem is not a real person and his picture was taken directly from Shutterstock. Still don’t believe us? Well, keep reading. Here we can see one of the “lucky few” people who testified they made a killing using the Zemusoft auto-trading software. In reality this person is a fiverr actor (see below) and we are willing to bet our bottom dollar he is totally clueless about any form of online trading (much less cryptocurrencies). There is not one single testimonial which is not forged, and the whole members section is totally fake and full of random pictures illegally stolen from the internet without any type of written approval. There is also a ton of hype and exaggerated claims of easy money, inflated bank accounts, and just utter lies. How upsetting is that right? Who Is Rhys Lakem and Is He Really The Person Behind Zemusoft? According to the sales script Lakem graduated from Cambridge with a Masters Degree in Computer Engineering around the time when cryptocurrencies hit the world. But he was in debt and had to accept a two-year contract with a corporation as he had no choice and had to do the dirty work for “suits”. He was able to purchase a few Bitcoins and did some mining when it was still easy to do. Eventually he forgot about those Bitcoins until 2017 when the price of Bitcoin climbed. He cashed out, quit his job, and gathered a team of highly experienced Blockchain technology professionals. In reality Lakem does not exist, and we proved that already. If fortune hasn’t smiled upon you recently, if you have been struggling to make end’s meat, it’s time to get ready to change all that. Or is it? Zemusoft claims it offers a reliable stocks and bonds trading software. However, in the same exact sales page you will also see it is marketed as a software which offers “free access to the cryptocurrency trading industry”. Are you confused? So are we, and we believe Zemusoft is a complete and total FLOP for various reasons. First of all its a scam, we tried it and lost all our money in a matter of seconds. Secondly its not going to work for these marketers because their message is conflicting and incoherent. First they say it involves trading stocks and bonds, and then they mention crypto, who knows what else is brewing behind the scenes but any way you look at it Zemusoft stinks to high heaven. As we continue we can see the usual out-of-context use of rich celebrities such as Richard Branson, Bill Gates. This is followed by an invitation to join the program, get your piece of the bitcoin pie, and activate the “life-changing crypto app” which runs on auto pilot. After that there are some highly questionable claims about a software which wins 9 out of 10 trades without any regards for the direction Bitcoin was taking (up or down). Obviously that is another sleazy lie so don’t believe it. How Does The Zemusoft SCAM Work? According to the video presentation Lakem understood that creating a crypto network was a competitive business, so instead he decided to profit from the coins which are already gaining speed. That’s how Zemusoft was born, and the profit is made according to the price changes of OTHER currencies (not his own). He claims his software taps in the price differences which exist between exchanges and profits from the changes after carrying out analysis. That is how the arbitration works according to Lakem, and he continues to lay it on really think about how the app chooses only the most profitable trades which are “certain wins”. Lakem mentions these three points as he tries to explain how the software works. Opens positions in both upwards and downwards trends. We have received multiple complaints in regards to the Zemusoft trading app, and they are all crying about a losing software which stole their money and brokers that keep calling them to deposit more funds. Please make sure to AVOID Zemusoft as it is an extremely misleading and deceptive software (we can’t overstate this). Zemusoft will cost you at least $250 to get started, and that money will be deducted from your credit card by the broker what was allocated to you. Here we have a network of fake reviews sites which are endorsing Zemusoft (shame on them). Contrarily, you will also see reviews sites advising you to avoid using software like Zemusoft and check out some BINARY OPTIONS BROKER like IQ Option. 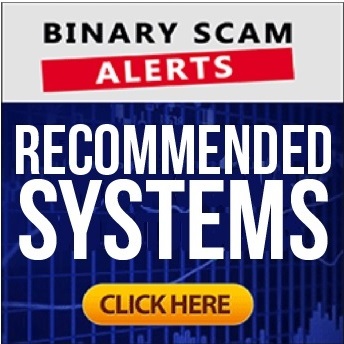 While we have no specific issues with brokers like IQ Option, we will never recommend anything even remotely related to Binary Options because that with the exception of 3 regulated exchanges (Nadex, CBOE, and Cohen Exchange) the whole binary options industry is a SCAM and that is due to the structure of the financial instrument. Meaning your loss is the brokers gain, and even if that broker has all the right certifications, it doesn’t change this fact so don’t take the bait. Other fake reviews sites will rightfully blacklist Zemusoft, but tell tell you to join Maximus Crypto Bot, which is probably the most corrupt and fraudulent trading system being peddled online today. There are so many scam systems and brokers out there, but once in a while a legit system actually hits the market and that’s when we start to test it. If it produces money consistently we add it to our recommended section so check it out!